We are now within touching distance of the Samsung Galaxy S4 unveiling which will take place this month, on Thursday 14th March. The big question at the moment are what can we expect to see from this flagship handset? So we take a look at a few of the features that have been pushed around the rumor mill. The Android market has come full swing of late, and is now a competitive ground where manufacturers are going head to head to take the crown of the best Android Smartphone as well as the ultimate goal of being the best Smartphone overall. This head meant that Smartphones are coming out with better designs and displays, which means that Samsung need to keep on top of this if they are to stay at the forefront of Smartphone designs. Most of the rumors at the moment are looking at the phone being thin, however there hasn’t been much speculation about them dropping the plastic shell in replace of an aluminum one. If this is the case, it could lead to be a disappointment. One of the most important aspects of a phone is the screen, and in 2013 we are going to see big changes in screen designs and specs. 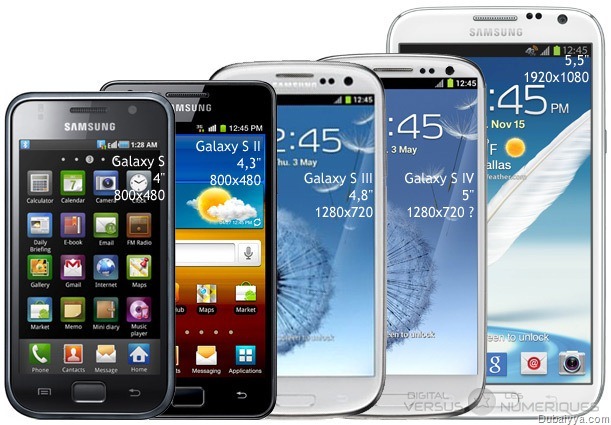 When it comes to the Galaxy S4 the screen rumors have spread like wildfire in the past 6 months. The talk of the town is that the already large S3 screen is going to be overpowered by an even larger one for the S4. We are looking likely in seeing a 5-inch, 1920 x 1080 Full-HD display. We know the HTC One which launched last week boasted near enough the same specs, and with retina displays becoming a part of many Apple gadgets then Samsung may need to up their game. Battery life is a massive issue now, because of the resources needed to power a lot of programs and apps. This means that we need to see a vast improvement in the battery on the S4 as the S3 was poor. Anything from 2,600 – 3,300 mAh (most likely we will see higher than the S3’s 2,100mAh, and around the same range as HTC One’s 2,300mAh). Finally, we come to the camera, something that has advanced in recent years to the extent that users tend to ditch their digital cameras in favor of a 13-megapixel phone camera. Makes sense really having everything in one place. Looking at the S3, the camera was poor but the phone was launched in early 2012 when Samsung were looking more at other areas of the phone. In 2013, the camera has become one of the most important parts of a phone, and the likes of Nokia and HTC do pull away in the field. We hope to see at least a 13-megapixel camera with the S4 to keep it ahead of the game. What are you hoping to see from the Samsung Galaxy S4 launch on March 14th?